For the first time, The Field Museum in Chicago has allowed their collection of both Peruvian and Egyptian mummies to travel – and you are in luck! 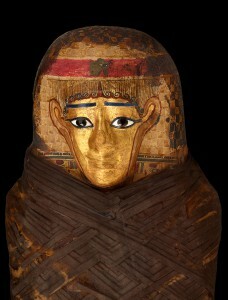 The mummies will be exhibited all summer at the Science Museum in St. Paul. It is great fun for both the kids and grown ups to learn more about these ancient artifacts. Get your tickets and find out more here! In most cases, it would be ideal if all of the people living under the same room can split any housing payments equally. However, if bedrooms are different sizes or there is one parking space for multiple vehicles, then changes in individual payments should be discussed. In most cases, if a fair tradeoff cannot be negotiated, such as a person with a larger bedroom agreeing to let another individual claim the only available parking space, then the difference should be reflected fairly in housing payments. For utilities, again, it is best if everyone can split the payment equally, provided that no one abuses one utility to an extreme. You will have to ensure that everyone agrees to the same services so that there will be no conflict if one person does not wish to have cable but others do, for instance. There will also have to be the discussion of how each person will intend to pay for their portion and when all the money will be pooled together to pay off a bill. You will also need to consider if the bill should be placed under one name or multiple. This is always tricky because everyone may have a different diet. Be sure to discuss eating habits with any and all members living in the household so that money can be budgeted accordingly. You will need to speak about how the cost will be split, especially for shared items. It may be better for most to pay for their own groceries, but you must take in account the amount of space available for storage as well, which is why it is important to discuss eating habits with your roommates. When all things have been considered and openly discussed, then you will find living with roommates to be a more positive experience. No matter what, you must always remember to respect others in the household so that everyone can coexist in peace.